Where have so many WordPress bloggers I followed gone? I’ve never aimed to post every day so none of my blogs were intended to be a daily journal of my life. In fact, reading other bloggers and perhaps (usually) commenting on them was always more important to me. 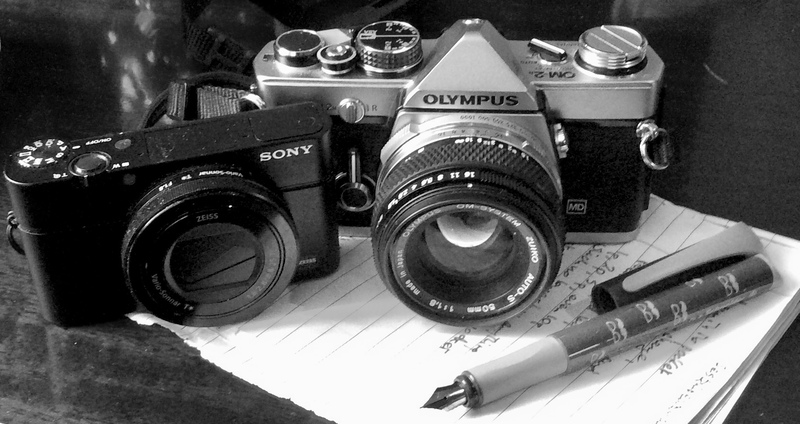 For those of you who do not know, at one time I maintained three personal blogs: this one, one for my interest in photography (particularly about classic cameras and film photography) and an ‘alternative’ site for the village in which I live. Having decided some time ago not to maintain posting on the village blog and circumstances dictating rare posting on the photography blog, coupled with missing some bloggers I used to enjoy a lot, today I decided to see what the situation with the bloggers I ‘follow’ is. 49 have not posted for 2 years or more. I wonder what happened to them. There was not a final post saying “I’m stopping posting on the blog, because ….”, as far as I know, not one; of course I did do a ‘final’ post on the village site announcing my intention to stop posting and giving the reasons. So most of those I followed who have not posted for two years I have now ‘unfollowed’ but a few I particularly liked I’ve continued to follow in the hope they may reappear. For myself, my first love being writing, I’ll continue to post on this blog, which is more suitable for longer posts, including those about my short stories or ‘poems’. But, more suitable for a photo with a short text, or even no text, blipfoto has a wonderful supportive community and having met a challenge from a blogger friend, to reach 300 ‘blips’ by Christmas Day, I’m going to make a big effort to ‘blip’ more frequently – my target is at least once a week. And, I might just try to post now and then on my photo blog – grumpytykepix – particularly as I’ll now allow more digital pix among any on film which I’m now able to do. As I’ve said before, I no longer consider the 5-7-5 ‘verses’ I write to be haiku but I think it’s as much a haiku as any in English I’ve seen on internet. It was written for a special friend, not a blogger. The short story was written very quickly, maybe 1/2 hour, for the first 2019 meeting of our writers’ club – Writing on the Wharfe. It is completely unedited, just as it came pouring out of my fountain pen, with which I now write everything, only typing up later for internet. The New Year has never begun well for me, not for as far back as I can remember. But, downing the glass of bubbly as Big Ben’s hand moved steadily past twelve, I really thought this year would be different. I’d arrived at the party late, too late for the hosts Kath and Mike to introduce me to everybody in their crowded sitting room, probably 30 people in all. I didn’t mind; I’m not at all good with people I don’t know. But then, bubbles exploding on my tongue as the sixth chime struck, I saw her. Or rather, her eyes pulled at mine. Embarrassed, I tried to look away from that frank, open look inviting entrance to an enchanted world behind those wide, soft, brown circular doors. I could not. I made the effort to slowly widen my field of view, noting that the eyes were not much less than six feet from the floor though, glancing lower, I saw that her feet were almost completely flat on the ground, no tall heels to add to her height. Avoiding her eyes, I slowly allowed mine to travel up her perfectly sculptured ankles and calves, pausing a moment at the hem of her dress just a couple of inches above her knees. Continuing upwards, the lightly pleated, gossamer skirt, which would sway provocatively when she walked, did not hide her softly curvaceous form, a hint of the mount of Venus, a comfortable inviting cushion above it suggesting a love for her food. I paused a moment, imagining my head resting just where the long bare fingers of her right hand now rested, the fingers ending in perfectly manicured nails with a hint of shine from the uncoloured varnish. A quick glance to her left revealed index and second finger gracefully retaining the stem of the almost empty champagne glass. “Damn!” Her third finger was hidden. My secret, so I thought, journey upwards dipped into a gentle waist then hardly changed direction to cross the valley between her pubescent breasts, girl-like though her whole demeanour suggested an age well into her twenties, maybe even thirties. Finally I summoned courage to look for those eyes again. They were still looking directly into mine; was that a smile in them? It was certainly not mockery, which I half expected to see. It was only ten paces to arrive directly in front of her, looking a little upwards into those eyes. “Hello. May I get you another drink,” I heard myself saying. “That would be nice of you.” Still her eyes never left mine. As I reached for her glass I felt a presence at my side. With difficulty I pulled my eyes away from hers to see a man a couple of inches taller than her, handsome, confident, superbly attired. He smiled, a genuine warm, friendly smile. “Thank you for looking after my wife; I had to make an urgent call,” I heard over my thumping chest. “Damn again! Another New Year beginning disappointingly,” I thought. Today is Latvia’s ‘Independence Day’. In fact the country is celebrating its 100th birthday today. Two years ago I would not have known that, nor would it have had any importance to me. Now, thanks to the wonder of blogging, I know far more about this small (certainly in terms of current population) country and take an interest in its culture, history and language. Admittedly that’s down to one blogger, Ilze, with whom I’ve developed a particularly close blogging relationship. Many years ago I did visit Riga briefly, on the way to Helsinki and St Petersburg (it was then called Leningrad), though which way round I don’t remember but probably Finland first as that was work, USSR as it was then was just an interest in the city, as it was for Latvia’s capital. In those days, running my own business with overseas clients, I often used a client visit as an excuse to make an itinerary to take in other places of interest. Would Riga now be ‘disappointing’? I would probably be disappointed now by Riga – I suspect that though the architecture would be the same, as in Sibiu in Romania, the culture which attracted me has probably been overwhelmed by commerce – tourist cafes and restaurants, etc. I’m not a city person but nevertheless I would like to see the city again now that I know much more about the country. Latvians are rightly proud of their independence; they fought hard for it in every sense of the word. Again, thanks to blogging I know not only much of the overall story but even some individual, personal stories. The general story you can find elsewhere on internet, so I will not repeat it here, but personal insights are thanks to my special blogger friend, which I will not repeat here either. What I will do is pick out some unusual facts which have intrigued me. Latvia is believed to be now the country with the tallest women, though I believe there are individual women who are taller elsewhere. Although I am well past doing anything about that now it is interesting because I have always found tall women attractive, as anyone reading my short story ‘The Girl in Block 18’ might have concluded. Latvia is a leader in terms of internet connectivity. It is also a leader in use of open source software. Perhaps that is more linked to freedom than saving money. Internet was, of course, intended to be free to all but has been largely taken over by commercial or governmental interests. I use a lot of open source software and had I not been introduced to PCs with an Apple computer (Europa II) long ago (actually 44 years ago) I would probably be using Linux today. 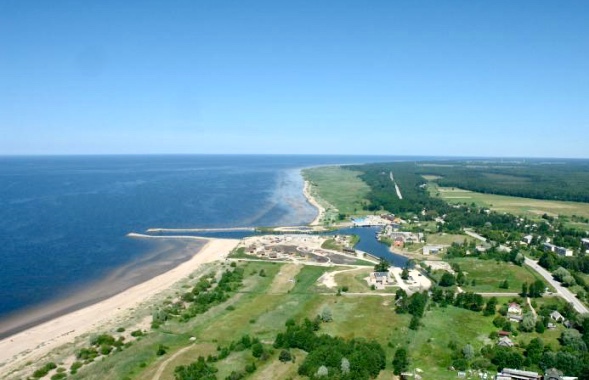 I knew of course Latvia had a coastline but I didn’t know it had a beautiful seaside, golden sands stretching from sand dunes to an inviting sea. So, if I ever manage to visit the country a stop in Salacgrīva, the home town of my ‘special’ blogging friend, will be a must. Latvian food is mostly extraordinarily simple but delicious, from what I’ve learned from following blogged recipes from my good Latvian friend. The country in which you will find the most Latvians who have left their own country is right here, the UK. You are all very welcome. Latvia should be referred to as a ‘northern’ country, not an ‘east European’ country. If you know the history you will know why Latvians dislike being referred to as ‘east Europeans’. That’s not just because it is geographically incorrect. So, on this day especially I wish my good blogger friend Ilze and her family, along with all Latvians everywhere, a great celebration and a bright future. I’m not a fan of ‘dark’ tales, of Gothic literature (not even Bram Stoker or Mary Shelley) though I did have a teenage period when I was crazy about Dennis Wheatley‘s occult novels (anyone remember The Devil Rides Out, his first, and the first I read?) – not quite the same thing but certainly scary. (The film ‘The Exorcist‘ cured me of that, sometime in the ’70s I think, and I’ve never watched or read the like since). 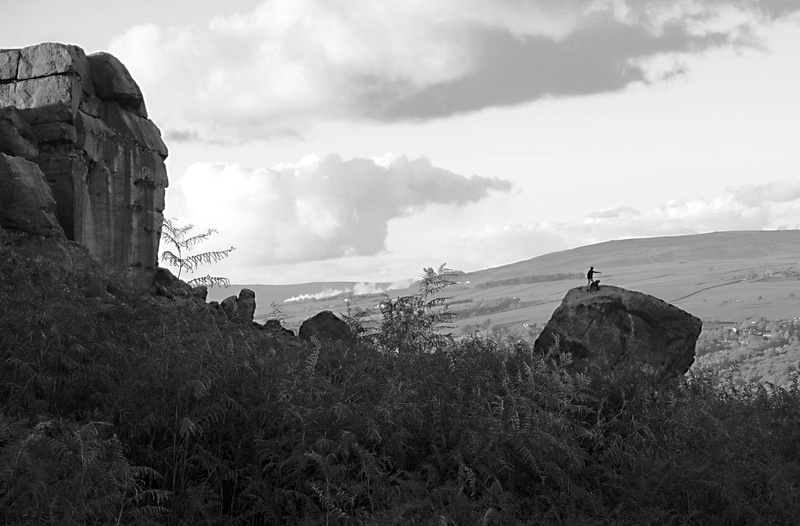 However, as the meeting of our writers’ club, Writing on the Wharfe, was a few days before 31 October we were set to write a ‘Halloween story’. I dislike what ‘Halloween’ has become too so I said I’d prefer to write around a real English tradition, a November 5th story. Last year I did attempt a ‘dark’ story so I asked one of our newer members (Jo Campbell) to read it and give an opinion as she’s a fan of Gothic literature and writes ghoulish tales. 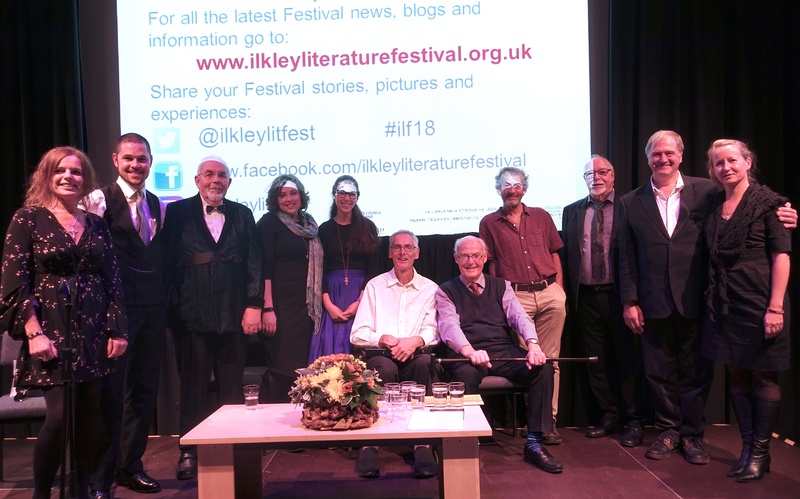 As she is a relative newcomer to blogging I was delighted that about a week ago she extended her sparse blog to include things like her story (not ‘dark’ at all) for our ‘performance’ at the Ilkley Literature Festival, which has to be my favourite from the night. Her blog is here. As she liked my tale from last year (suggesting one amendment, which I’ve made) I decided to try another. This is below. Last year’s, Hallow’morrow, is under the ‘Short stories’ menu. Guy was puzzled. Forks in the road, with signposts clearly indicating the way to his destination, never seemed to get him there. In fact, it was just one fork and the third time he’d arrived at it. He was feeling ever more cold though wearing warm cycling gear and it was not yet winter, being only the beginning of November, the 5th of November to be precise. He’d set off from his flat in Gillygate in York, close to where St. Peter’s School had been when attended by the best remembered gunpowder plot conspirator, with the idea of visiting the abandoned medieval village of Wharram Percy; there was a ruined church, parts of which were medieval, and really old gravestones, which were particularly interesting to him. He didn’t take his road bike as he’d decided to take a cross-country route from the still populated village of Wharram le Street rather than the usual advertised walk from the English Heritage car park. However, the gear change on his off-road bike had been playing up recently so he decided not to go directly via Malton but to make a detour to Easingwold and call in on bikeWright to see if they could fix the gear problem. The Easingwold shop had repaired the gear change but it took far longer than he’d planned. By the time he arrived in Malton the light was already fading and a typical November mist was thickening. He debated with himself whether it might be better to go directly home from Malton but he had excellent lights on the bike, chosen for riding off road in the dark, and a powerful flashlight in his backpack so, thinking a tour of the ruined church with no-one else around might be fun, he continued. He set off down the B1248 and was soon in Wharram le Street. Having taken Station Road as he remembered from the map, it was not long before he’d reached the fork with a signpost to Wharram Percy, though he almost missed it in the deepening gloom. When he first set off down the narrow lane signposted to Wharram Percy there was still a little light so he was surprised when he seemed to arrive back at the fork. He had not seen any turning, signposted or not, since leaving the spot. “I must have missed it in the gloom,” he muttered and set off again. He began down the lane for a second time, cycling very slowly, looking carefully to left and right. Finally he come to a fork with a sign post to Wharram Percy. But it was the same fork. Of that he was sure. Was someone or something trying to tell him he shouldn’t go there? Should he give up and carry straight on, to Stamford Bridge then home to York? He set off again. There was little light now but enough, he thought, to make finding the church worthwhile. The lane soon became something he did not recognise, trees on either side making it ever darker but the broad beam of his headlight picked out ruts and large stones to be avoided. “This isn’t bad,” he thought, “if only it were not getting so damned cold.” He shivered, despite the effort required on the rough track. 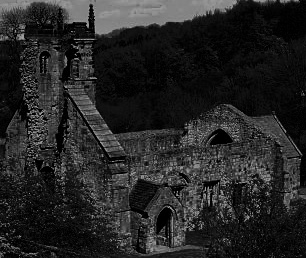 A large dark mass emerged out of the gloom without warning; it took him a moment to realise he was only a few yards from the church, the broken tower reaching out to a moon filtered by mist, a few dark clouds recalling scenes from a Hammer horror film. Spooky. Then he saw them, a small group of figures, men. “Damn!” he exclaimed softly. He had hoped to be alone. 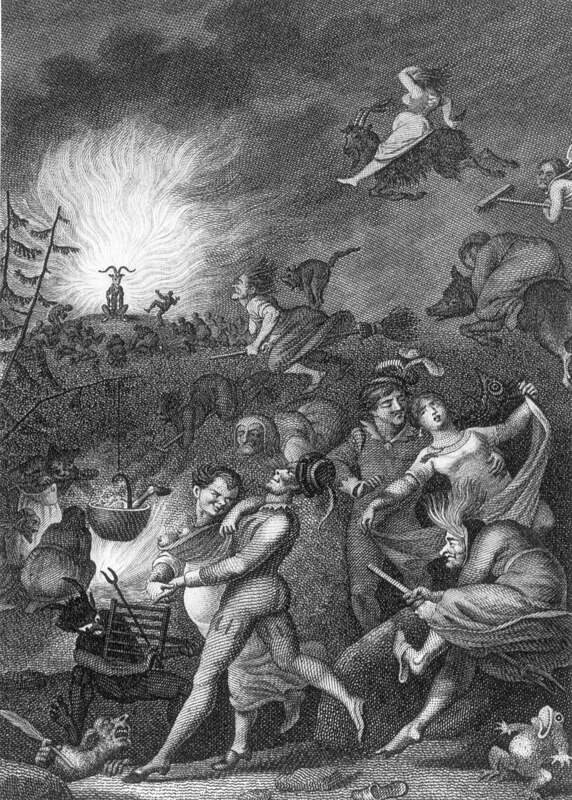 “Must be some kind of event, or rehearsal for one,” he thought, noticing now that the figures were in cloaks, pointed hats and carrying flaming rush torches, not flashlights. The group surged forward, one grabbing his arms, another swiftly tying his wrists behind his back. “Thou art Guy aren’t thee?” The question came from the man who seemed to be leader of the group. “Yes but –“. His answer was cut off with a glare and a slap in the face, a hard slap. “Bid us, bid us, who is’t they wast.” He didn’t understand and the accent was one he didn’t recognise. He must have been slapped very hard as the faces in front of him kept fading in and out, even disappearing for a few seconds. “He’ll not bid, Sir William;” said one. “Rack him!” shouted another. He felt himself being bundled forwards, then up stone steps in the tower, his increasingly desperate protests: “This is crazy! I’m not who you think, I’m just a visitor, and it’s bloody dangerous to climb up here,” were ignored. The group ceased pushing him upwards. There was now only a glimmer of light. He strained to refocus on what was directly in front. Some rope, a loop of rope. A hangman’s noose. Instinctively he took a step to the side to avoid putting his head in it. A dog walker (Wharram Percy is a favourite place for dog walkers early morning) found him at the base of the church tower. He clearly had a broken neck. “The idiot must have tried to climb the tower in the dark,” the dog walker said to himself as he pulled out his mobile phone. Wharram Percy is probably the best known deserted medieval village in Europe as a result of all the excavation and research which has been done there. It’s now an English Heritage site. Did you pick up the clues ‘hidden’ in the story? Not difficult. A bit of self-indulgent fun on my part. Guy Fawkes avoided the hangman’s noose for his part in the 1605 plot to blow up the House of Lords, with the king, either by jumping or falling from the scaffold (it is not known which) and breaking his neck. My love affair with the fountain pen has continued and having written my first poem with it I’ve now hand written my first story with it and, what is more, read from the exercise book draft at our writers’ club (Writing on the Wharfe) meeting earlier today. I’m not sure I’ve finished with the story yet but I’m putting it below. As I’ve also just begun to attempt to learn Japanese, having used the pen has given me an urge to write the Japanese characters with a calligraphic brush. Maybe later. 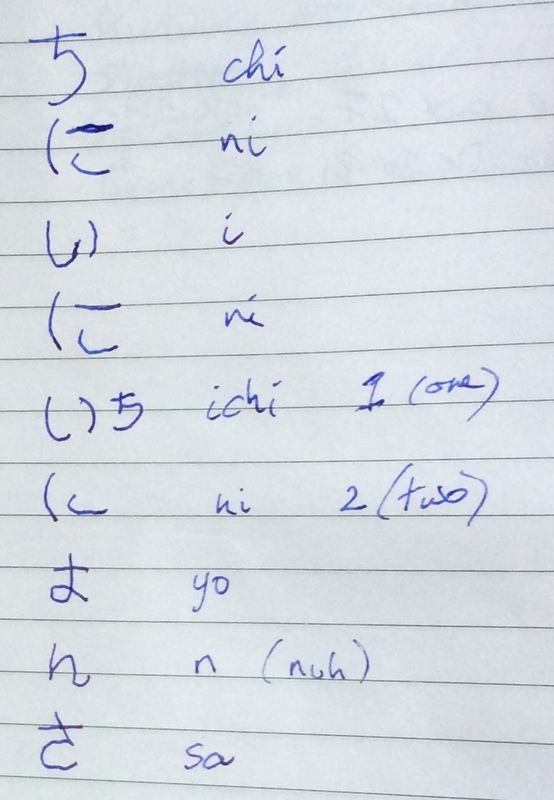 My writers’ club colleagues asked me why I’d suddenly decided to try to learn Japanese. Two motivations: a bit of new brain exercise; as followers of this blog will know I sometimes try to write haiku but recently came to the conclusion, as I posted at the time, that they could only be written in Japanese so I don’t think any of the large numbers in English on internet are haiku, including my own. The warm feeling flooded into his throat. He was surprised when it spread to his groin. He tried to see if the rather lovely young radiologist was touching him but he could not; the giant doughnut machine was in the way, just his head out on the side he could see. “Are you feeling the warm sensation?” she asked. “Yes, it’s rather pleasant,” he answered. He strained to look to his right and could just see the cannula taped on the inside of his elbow, his blood making a pretty pattern under the transparent tape holding it in place. “It’s just a dye,” she had said. “Breathe in and hold your breath.” A different voice, female, gentle but with some authority. A short time passed. “Breathe normally,” said the voice. He slowly let the breath go and sank into a sleepy torpor as first his chest then, one by one, other parts of his body relaxed. He sensed the table on which he was lying moving back through the doughnut until the whole of his body was outside the machine. He felt someone lifting the flimsy surgical gown and sliding down his boxer shorts, which he’d been told to keep on. “What’s going on,” he asked as that warm feeling began to return, not in his throat but in that place lower down. His throat was becoming dry . He swallowed hard as he felt something soft and warm cover first one of his thighs, then the other. Skin on skin he thought. “Don’t you move,” she said. “My God, it must have been Viagra,” he thought. That gentle voice again, a little more urgent, penetrated his dream, just as it was getting interesting. Youtube videos – over the past few days I’ve gained a lot of admiration for those who seem to roll them out regularly. Earlier I’d done a little editing of photos from our ‘performance’ at the Ilkley Literature Festival for my previous blog post. A doddle! But editing video is something else, for me. Wanting to put titles, end credits, etc on the just over an hour of our writers’ club ‘performance’ at the Festival, I discovered I’d forgotten much of how to use my graphics program and video editor (2 years or more since I used them). An added complication was that one contribution to our ‘show’ (the first in order of appearance) had been entered into a competition for which rules state no previous publication or broadcast, so I had to take that out before making it ‘public’. Another cut had to be made for another reason so I had to work out how to make this not too ugly. If you appreciate superb guitar playing (Samuel Moore) it’s worth watching the video (our complete ‘performance’, with writers, lasted just about an hour). If you’re a writer you may enjoy our club writers reading their own pieces. If you want to avoid me reading mine (published in my previous post) I’m now ‘first up’ in the video as the first on the night has been cut at the writer’s request. Of course I use only free programs, open source or those offering free basics but the possibility to pay for advanced facilities, which I do not. When in paid employment I used Adobe programs like Indesign, Photoshop and occasionally Illustrator, but I never needed to edit videos. The graphics/publishing program I use now, Scribus, is excellent but rather quirky and with a steep learning (relearning) curve. Much the same can be said of the the video editor, NCH VideoPad. What I didn’t expect was the 2 hours 20 minutes to convert the VideoPad file (for a video of just over one hour) to something suitable for uploading to Youtube (.mp4). Maybe that’s down to my ancient MacBook. Even less expected was the 4+ hours to upload to Youtube (finally I went to bed and left it to it so it could have been much longer).